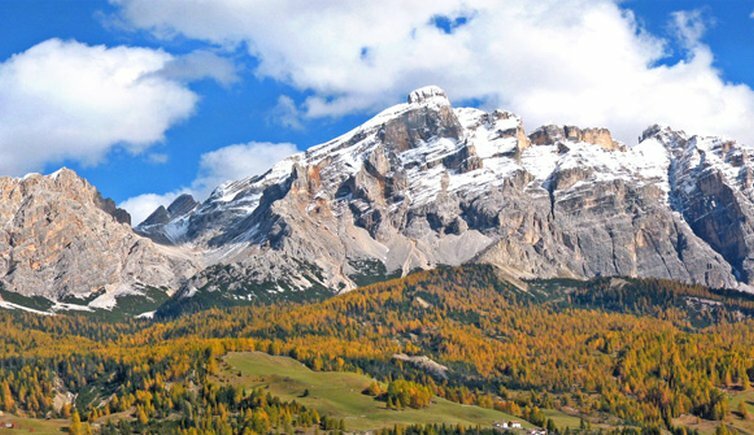 When the vast larch forests at the foot of the Dolomites start turning yellow and orange and the first snowflakes sprinkle the peaks, autumn knocks at the doors of the Alta Badia. 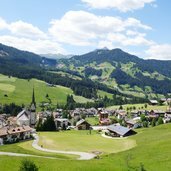 A calmer period, which is ideal for discovering nature in this beautiful valley full of surprises and its world-famous mountains as well as for some relaxing wellness days. 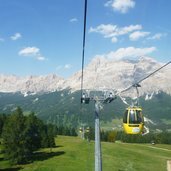 A paraglider high above the Gardenaccia Highland, an unforgettable adventure and the best way to see the Alta Badia from a different perspective, that’s to say from a bird’s eye view. 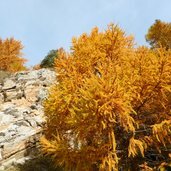 Many walking tours are especially beautiful in autumn before the first snow falls, such as the mountain tour to the more than 3,000 m high Mt. 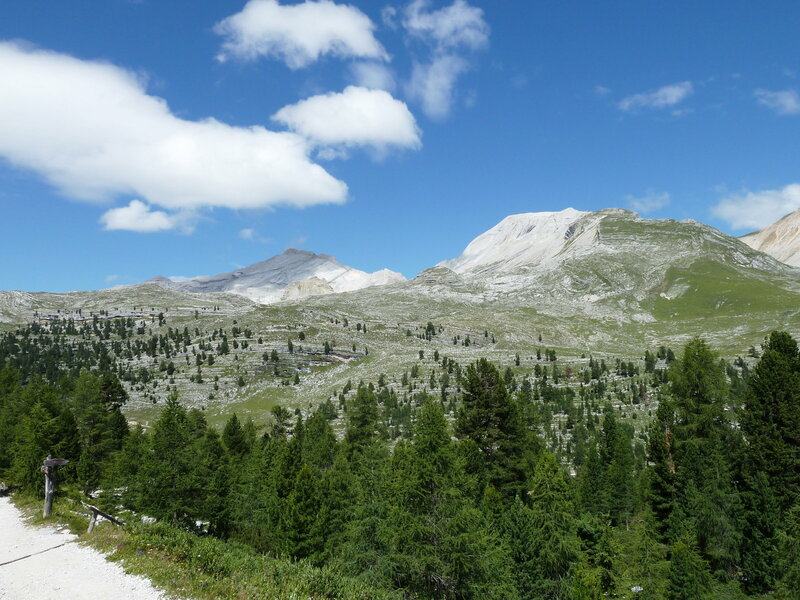 Sasso delle Dieci (Zehnerspitze, in German). 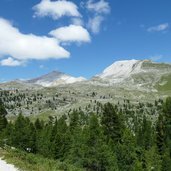 Also the Pralongià High Plateau at more than 2,000 m asl, known as "Amphitheatre of the Dolomites", offers some pleasant walks. In the background there’s the glacier of Mt. 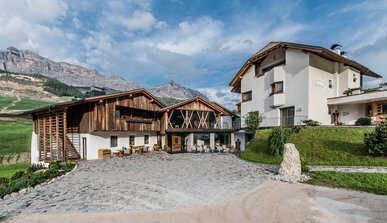 Marmolada. 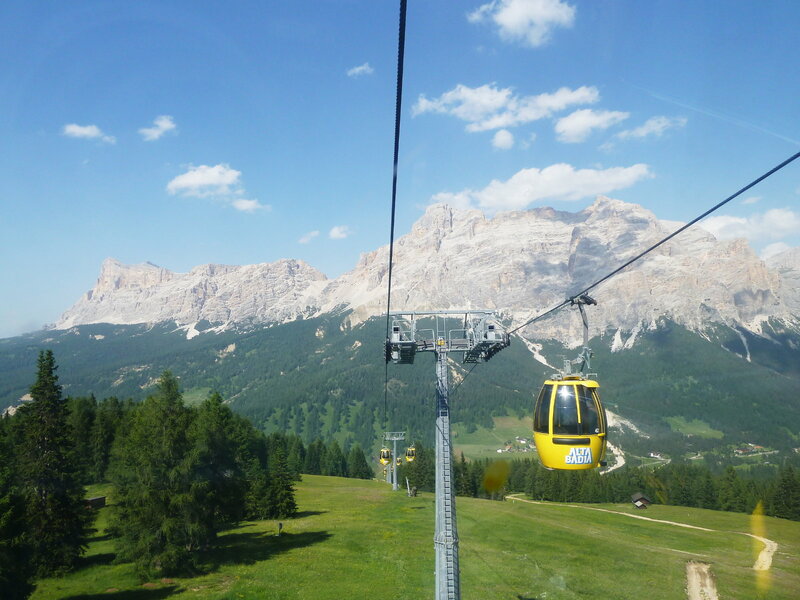 The lift facilities of the Alta Badia take you into the world of mountains, such as the Piz Sorega Funicular in San Cassiano. 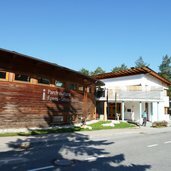 Most of them are open in autumn till mid-September / the end of September. 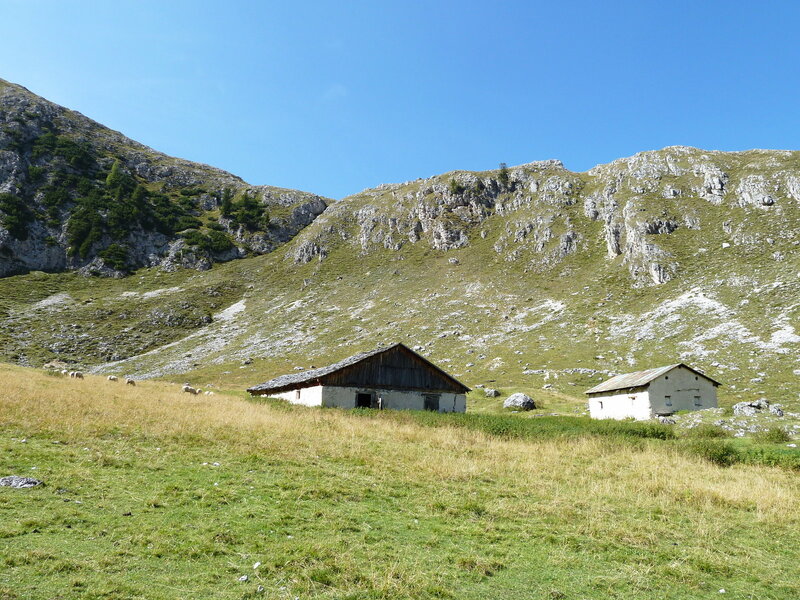 Also many mountain huts stay open, such as the Rif. 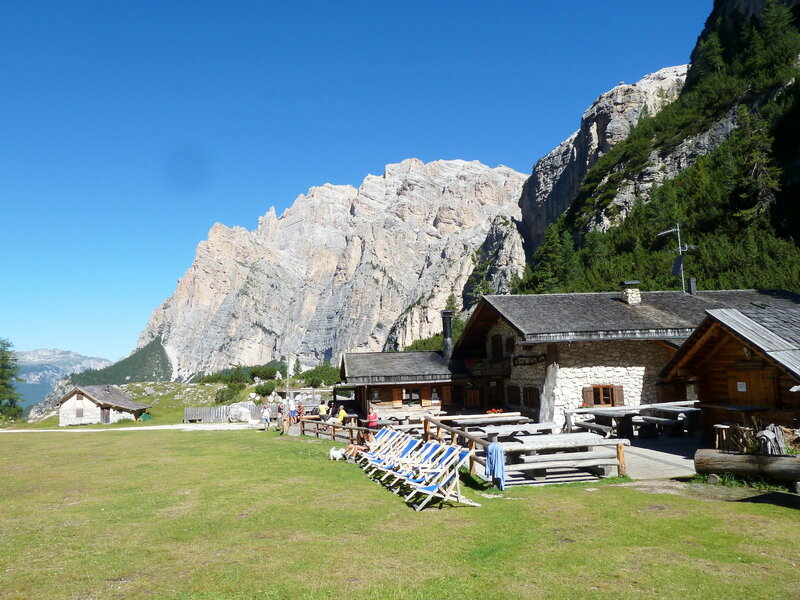 Scotoni mountain hut between San Cassiano and the Valparola and Falzarego mountain passes. It closes at the end of September. 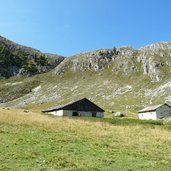 Another well-known hiking destination: the Malga Antersasc mountain pasture at 2,085 m asl (no rest point) is located in the Valle di Antersasc valley in the Puez-Odle Nature Park. 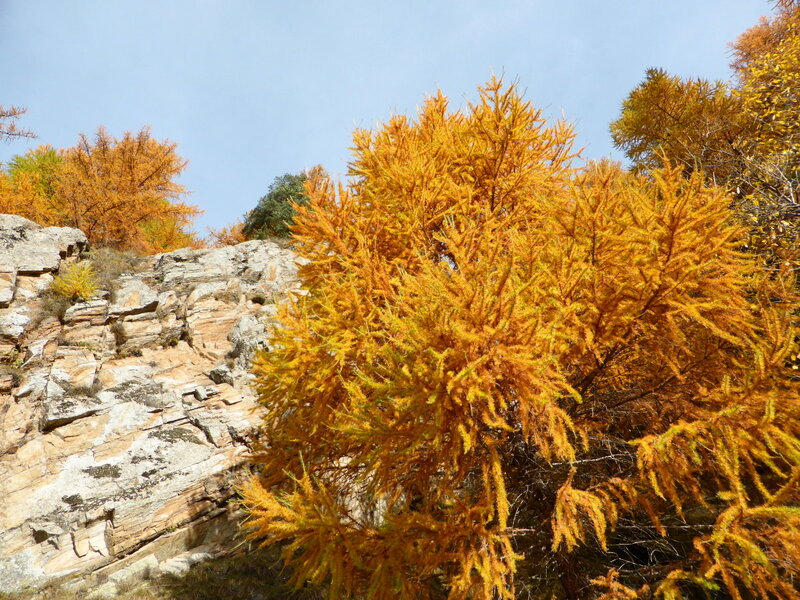 Movement under the open sky simply makes you feel fine… furthermore, in autumn the larch forests at the feet of the mighty Dolomite peaks bathers the landscape in a play of yellow and orange colors. 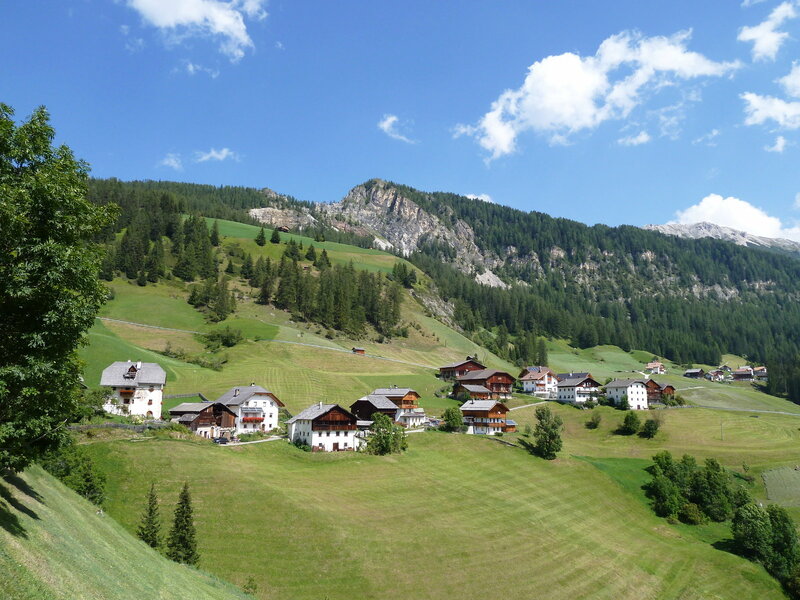 Every autumn also the traditional St. Leonhard horse ride, the so-called Rait de San Linert (in Ladin), takes place. It is a horse and costumes parade in honor of St. Leonhard in the village centre of Badia. 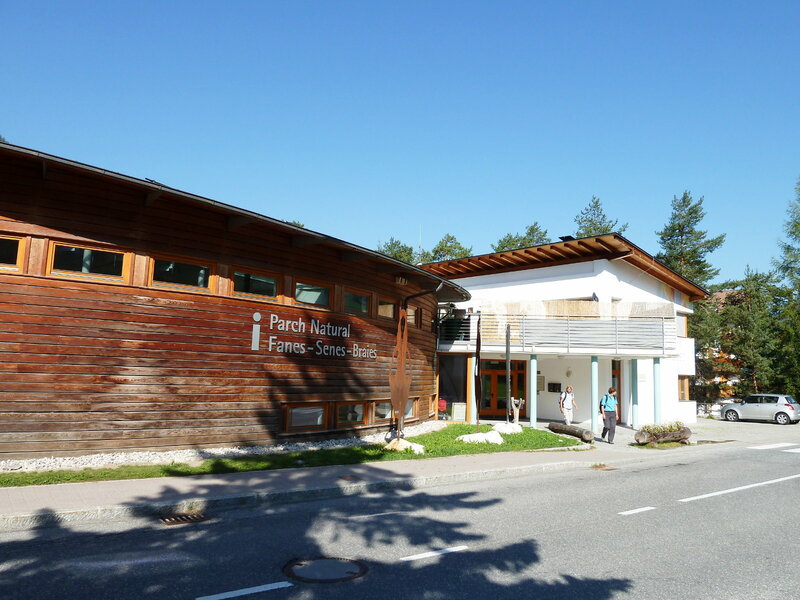 The Fanes-Senes-Braies Nature Park visitor centre in San Vigilio di Marebbe in the Val Badia valley informs until the end of October about the formation of the Dolomites and the famous cave bear of Conturines. 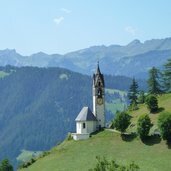 La Val, or La Valle, is located in an idyllic position at the foot of Mt. Sasso di Santa Croce. 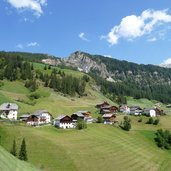 Since summer 2015 it is the first certified hiking village of South Tyrol. 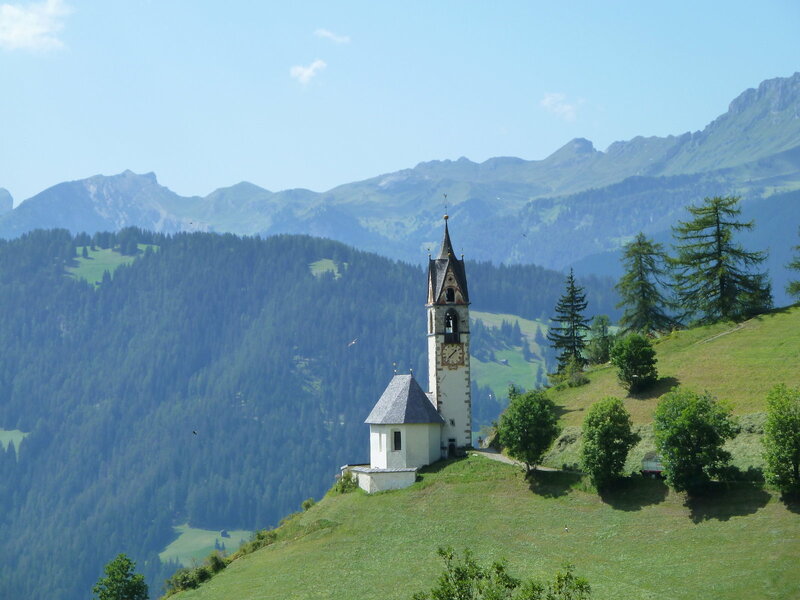 Near the village there’s also the St. Barbara Chapel, which can be reached along the "Memento Vivere" path, a contemplation trail comprising five stations dedicated to the single phases in life. 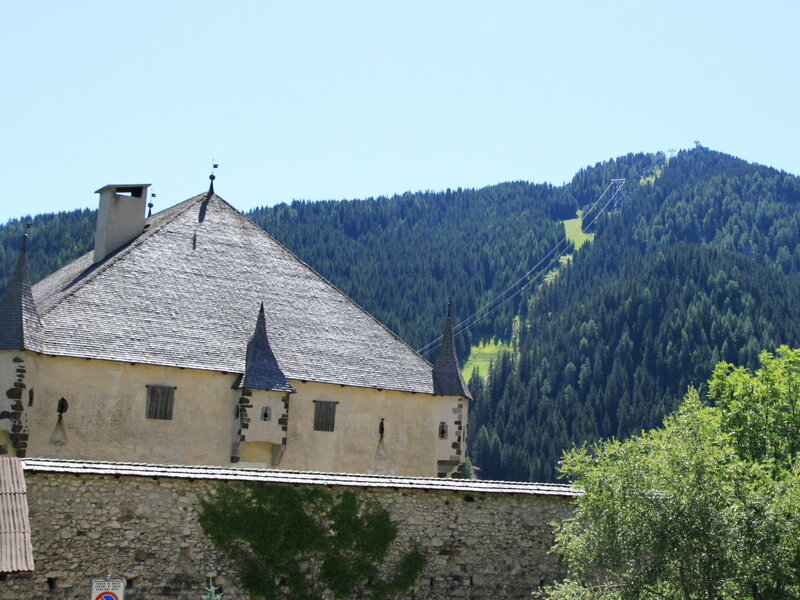 Castel Colz in La Villa, also known as "Gran Ciasa" (Big House), is the only castle in the Alta Badia: the massive construction dates back to the 16th century. 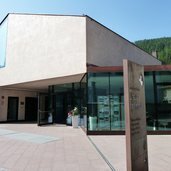 The Museumobil Card allows the entrance to more than 90 museums, collections and exhibitions of the region, including the Museum Ladin Ursus ladinicus in San Cassiano. 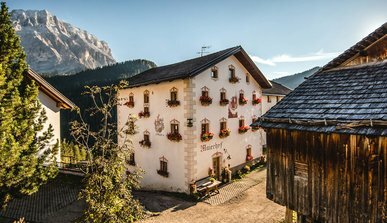 Alpine Tradition and luxurious comfort, well-being and relaxation, beauty and revitalisation, unforgettable landscape and sporting activities in the rocky Dolomite mountains. 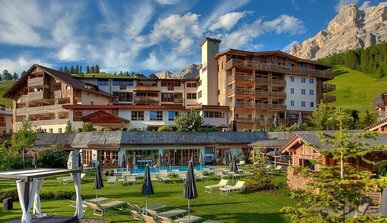 Hotel Arkadia in Corvara provides an ideal place for your holidays with sports, entertainment, but also relaxation in our wellness area. 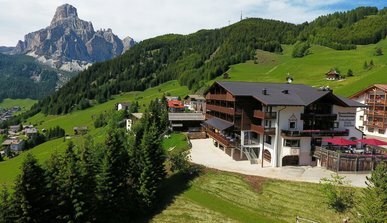 Our farm is located in the idyllic La Val in Alta Badia at 1,596 metres above sea level: Swiitch it all off and gain some new power with an amazing view of the jagged Dolomites summit. 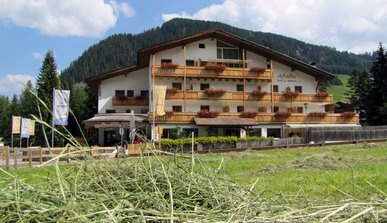 Hotel Ciasa Soleil - surrounded by the most beautiful peaks of the Dolomite Mountains. 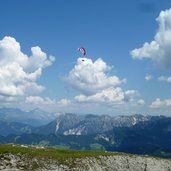 We are specialized in hiking and bike tours. 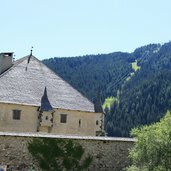 In summer we offer 4 to 5 tours per week for our guests. 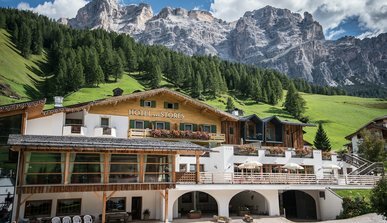 Our Hotel is surrounded by the majestic peaks of the Dolomites. 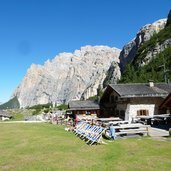 Numerous mountains and rustic Alpine huts offer everything to ensure that your hiking holidays in Alta Badia become a dream holiday. Good food. Relaxing in the hotel’s own spa area. 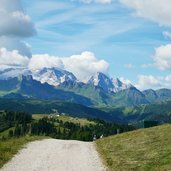 Nature - and mountains, mountains, mountains. 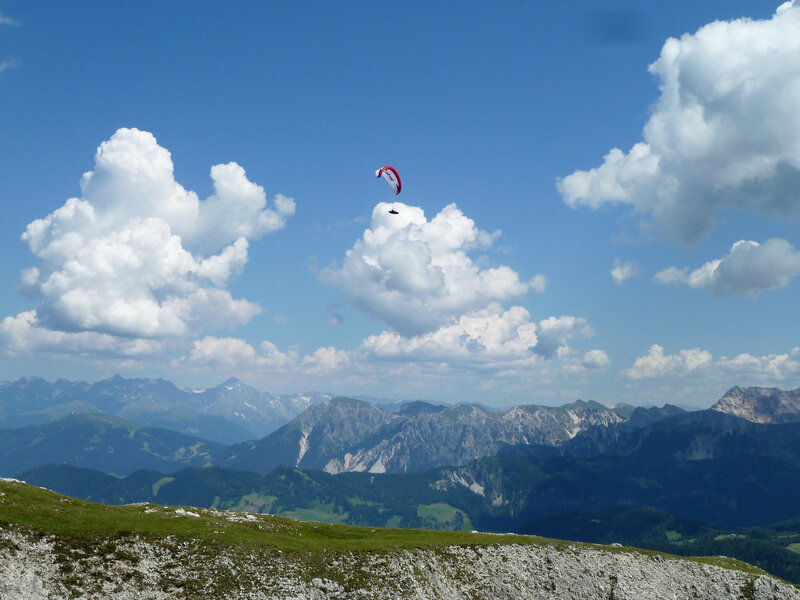 For biking, hiking, skiing and to unwind. 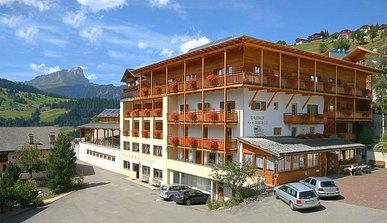 Our hotel in Alta Badia is located in the heart of the unforgettable South Tyrolean Dolomites. 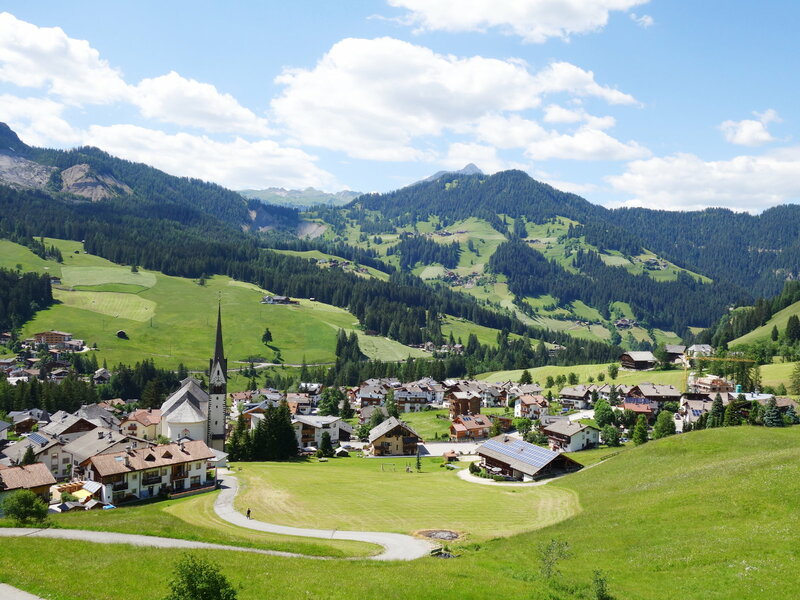 In the midst of this dream landscape, the Sporthotel Panorama offers the ideal starting point for any holiday wishes. 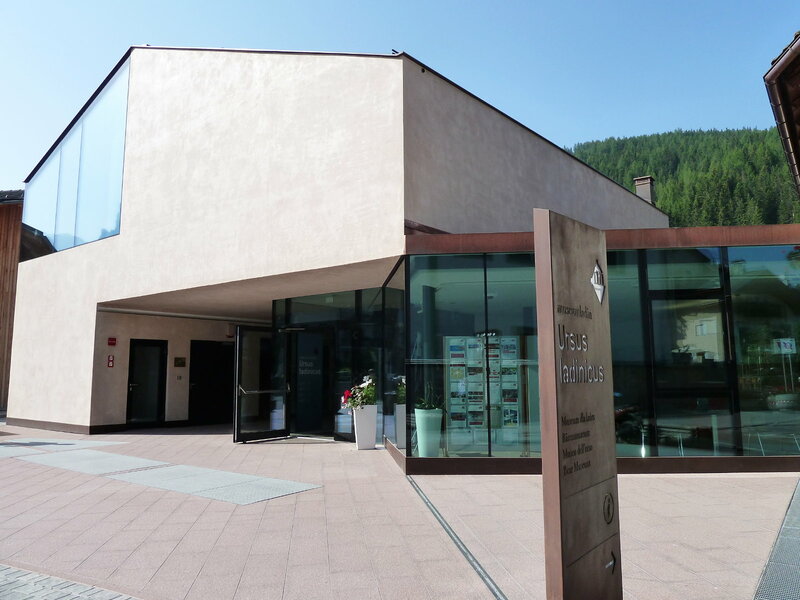 There, where the mighty Puez-Geisler and Fannes-Sennes-Prags cast their mighty shadow – that’s where you’ll find the four-star superior Hotel La Majun in the quaint little Ladin village of La Villa. 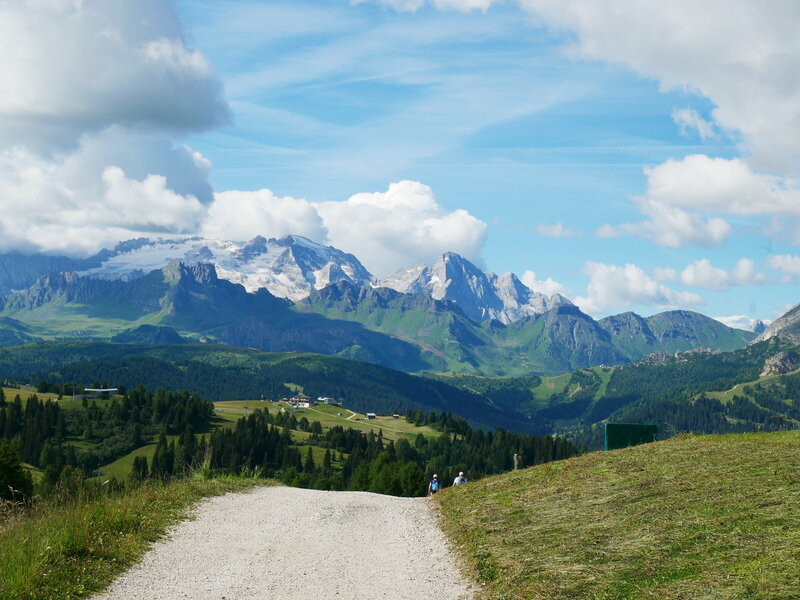 After a day of shopping, golfing or walking, your wellbeing at our hotel in the hiking and skiing area Alta Badiais our priority. 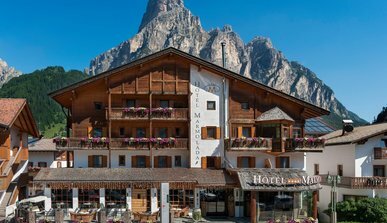 The 4-star Hotel in the center of Corvara offers maximum comfort to feel at ease.